FRIYAY! I am so ready for the first truly springy NYC weekend of the year. We're dying to explore our new neighborhood and try out all the wonderful parks and walks our pup friend have recommended. What about you guys—what are you up to this weekend? Obsessing over these adorable shirts from Le Chien Bleu. Planning a puppy camping trip just so I have an excuse to buy this pup-tent. Discovering the darling designs and notecards from London artist, Florence & Ottie. Plotting which kiddo in my life is going to be gifted these wiener onesies. Hunting for a new dog bed and falling for this cheery one from Janery. Beyond excited that Found My Animal, one of our favorite local brands, just launched a Target line! 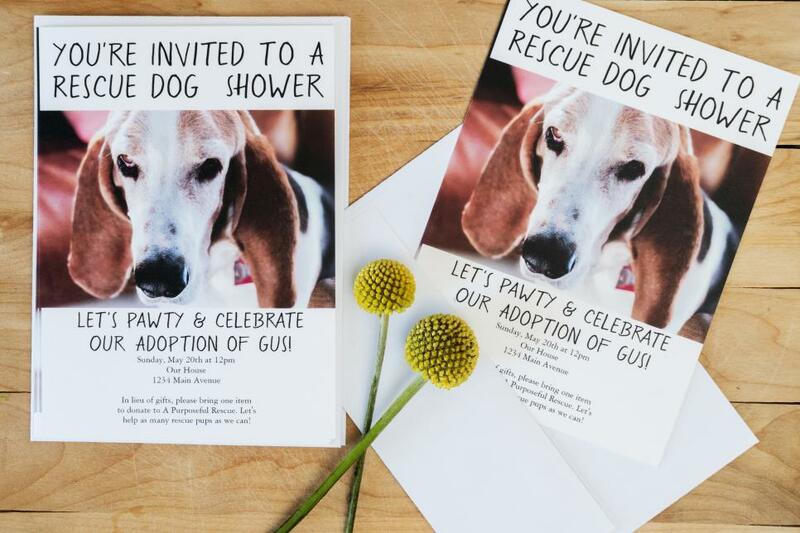 Loving this HGTV article about how to throw a shower for your new rescue pup. Image credit Bethany Nauert with James Tiffany on HGTV.